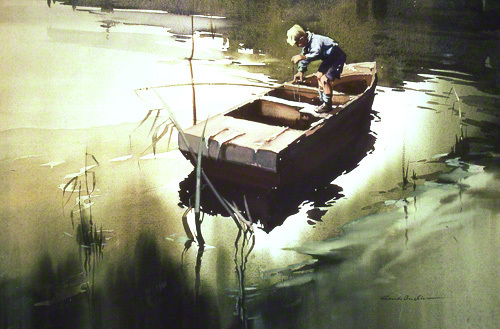 A water colour painting by Claude Buckle showing a small boy fishing from a raft. The picture is a good example of Buckle's technique of painting water. The medium captures the water texture with contrasting light and coloured areas around the raft. Created in 1968.